Quelle surprise – Gucci has been busy dropping new projects as of late. There was its all-illustrated SS18 campaign created by Ignasi Monreal, a new collection to celebrate the Year of the Dog (featuring IRL dogs), and the opening of the lavish Gucci Garden – AKA everyone’s dream brunch destination. 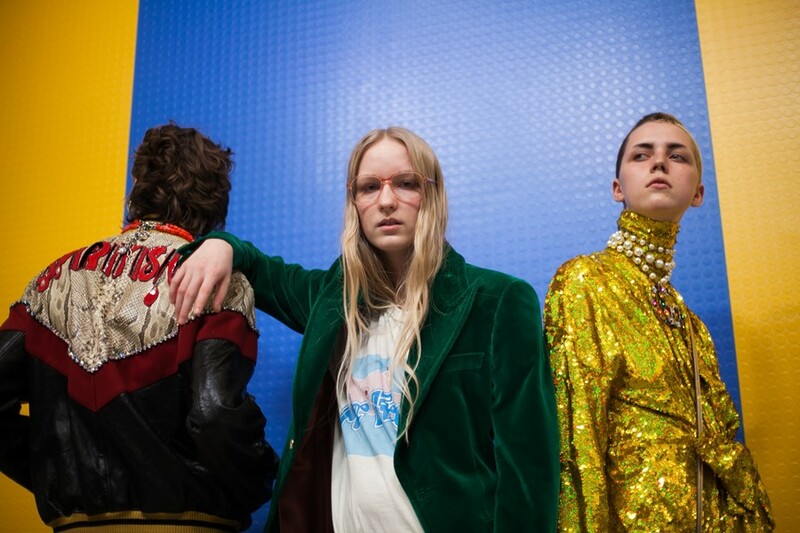 Its latest venture has today been announced, with creative director Alessandro Michele named as the costume designer for Elton John’s last tour. After announcing that he would be stepping off the stage after five decades of performing, the Rocket Man is going out with a bang with a final musical outing that will span three years. Entitled the Farewell Yellow Brick Road tour, the musical extravaganza will feature looks from longtime Elton fan Michele. If you don’t believe us, look no further than Gucci’s SS18 show that featured multiple references to the musician and his reputation for eye-catching attire. There were sparkling swimming caps, rhinestone denim jackets, and even a tote bag featuring the cover of his 1971 single “Levon/Goodbye”. The adoration seems to be mutual, with John telling WWD: “I used to be so close to Gianni (Versace) and now I’m so close to Alessandro”. Setting the visual tone for the upcoming tour, Elton made the announcement in a floral tailcoat, adorned with crystals and pearls, with the words ‘Gucci Loves Elton’ set in golden pearls on the back. Casual. Knowing Michele’s flair for the dramatic, we should be able to expect rhinestone jumpsuits, feathers, diamond-rimmed glasses, and sequins aplenty. The tour will begin on September 8 this year in the United States and will cross five continents before finishing in 2021.